Before or after doing a tour in the beautiful surroundings of Santa Cruz , you might want to hang out a bit in the city. 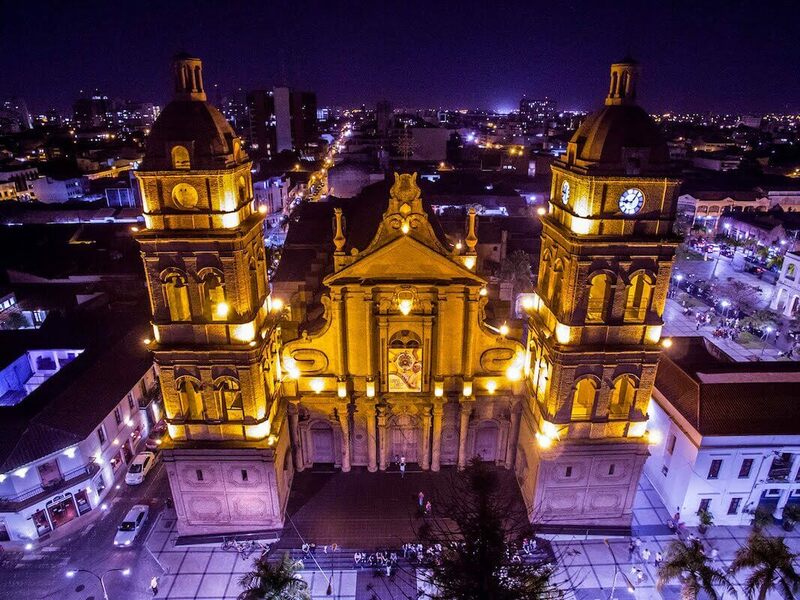 Santa Cruz de la Sierra is the capital of the Department of Santa Cruz and is located in the eastern part of the country. Santa Cruz is a young, growing, commercial, modern and dynamic city. Within the last decade the happy and prosperous Santa Cruz has become a big city of more than a 1,5 million inhabitants and the economic capital of the country. The city has been designed in concentric circles with the old part of the town, known as the Casco Viejo, located within the first ring. In general, the tropical lowlands are hot and humid year round, the temperature range for the city of Santa Cruz is between 26 and 35 degrees Celsius, but during the winter months (May – August), the temperature can go down to 12 degrees Celsius (but never for more than a few days). Spanish is the official language of Bolivia , however, being such a diverse country ethnically and culturally, there are various languages and dialects spoken throughout the country. In the department of Santa Cruz , the main ethnic groups (with their own dialect) are Chiquitano, Guarani and Ayoreo. People from Santa Cruz (known as cruceños) have an intonation different from those of La Paz or other Bolivian regions. The official currency is the Boliviano. However, most establishments will accept U.S. dollars. The safest way to change foreign currency into Bolivianos is through a bank. We do not recommend changing money on the street corners. Do not accept U.S. currency that is in the least bit torn because it will be rejected if you try to use it. Most of the banking facilities have ATM´s where you can withdraw money (Bolivianos or U.S. dollars) any time of the day. Electricity throughout the country is 220V. Most five star hotels offer 110V as well. Check the train timetable: Oriental railwaynetwork. Santa Cruz has excellent places to go out, evening entertainment with a diverse choice of clubs, bars, discos, restaurants, grills, pastry, ice cream bars and pubs with live music. Around the main square “24 de Septiembre” you will also find several bar/restaurants. 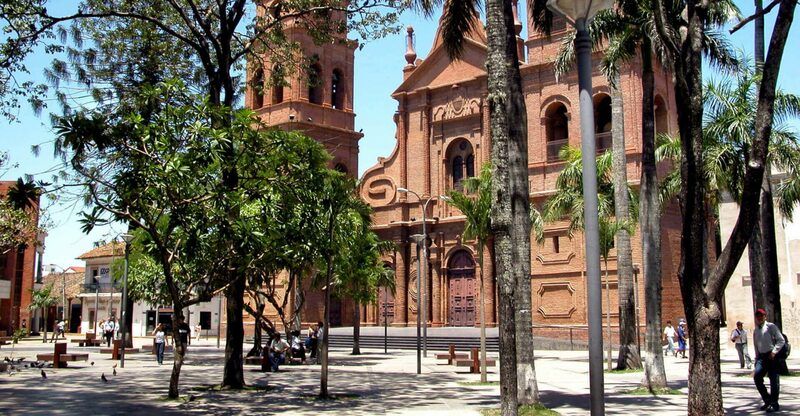 A popular hangout place full of bars, cafés and restaurants is Avenida Monseñor Rivero (also called Boulevard). The Boulevard is a popular destination all day long. It has a row of nice restaurants, bars and cafés serving excellent diverse specialties. Pick one, sit outside and enjoy the ambience. Not enough shopping? Then you should also go to “Las Brisas Mall”. There are nice restaurants just outside the city as well, some of them are: “La Rinconada”, “Casa del Camba”, “Tapekua Le Mayen”, “Biocentro Guembe”. These restaurants are specially visited by locals on Saturdays and Sundays. Santa Cruz has numerous events all year round. Worth visiting is carnival (February), Theatre Festival (April-May, odd years), Baroque Music Festival (April-May, even years), Iberoamerican Film Festival (August), Expogourmet and the Wine and Cheese Festival (July-August), International Fair Exhibition Expocruz (September), etc. The Cine Center Complex is a modern cinema surrounded by some hip bars, trendy restaurants and a shopping mall. It’s a popular hangout place for locals. In the same area of the city (South) you can also find “Bella Vista Cines”. Cine CBA is the alternatieve downtown with interesting movies. If you want to combine some shopping with real cinema experience then you should try “Cinemark” inside the Ventura Mall or “Multicines” inside Las Brisas shopping Mall. Movies are usually shown in their original language with Spanish subtitles. Contact us for the exact location of each museum. Only 25 minutes from the centre of Santa Cruz , there is a butterfly farm and a gigantic bird dome. Part of the park are also a nice orchid garden and natural pools and lagoons. Tours can be booked in our office. A great way to get to know more about Santa Cruz´ history is to take a city tour by bus. The tour takes approximately 3 hours. Contact us for more information. The main plaza of Santa Cruz (Plaza 24 de Septiembre) is a nice place to sit down, read a book, watch people or play a game of chess with the locals. Around the plaza there are some interesting buildings. First of all there is Cathedral. Inside the cathedral there is a museum of religious art, where you can find the world’s smallest book. Manzano Uno, located besides the cathedral, is the newest place for the exhibition of the local artists work. La Casa de la Cultura -located at the main square- has permanent exhibitions of paintings and sculptures. The fountain called “Aguas danzantes” is a beautiful musical fountain located at Parque Urbano central. The show of water, music and lights starts every night at 20:00.